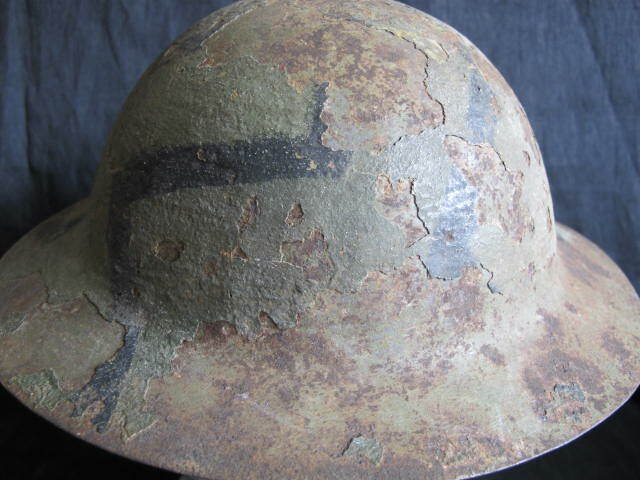 Scarce First Pattern British raw edge combat helmet. 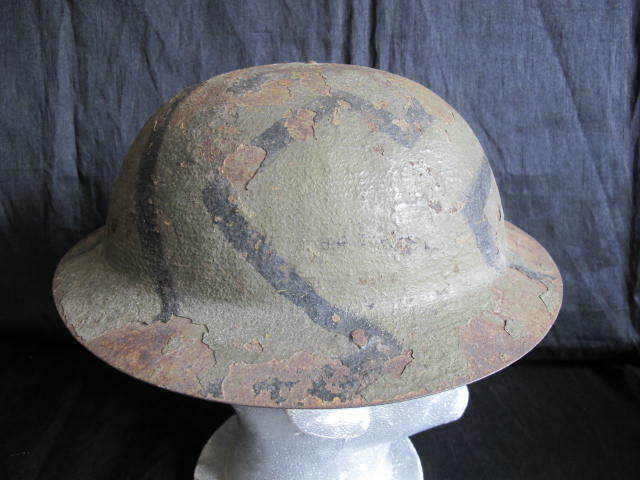 80% of its rough texture mud green paint finish with black block stripe cammo. 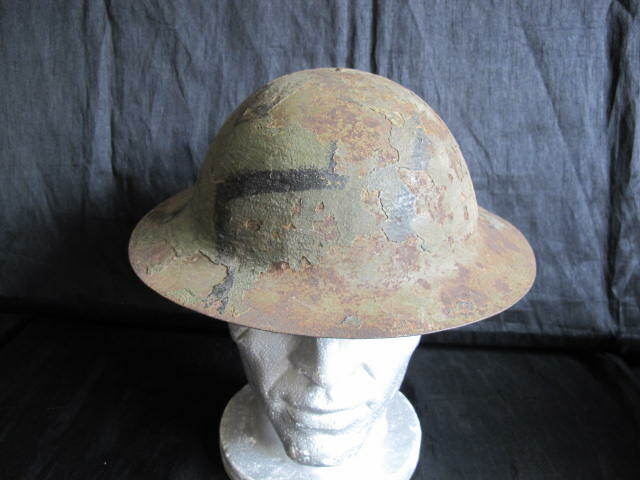 Comes complete with its cloth head cushion lining and one half of original chin strap. 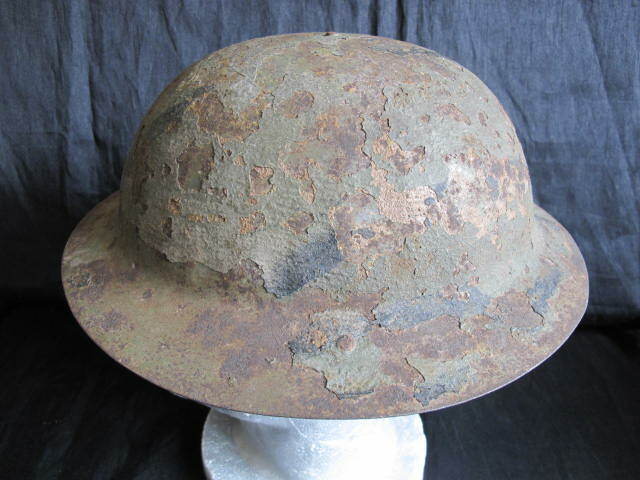 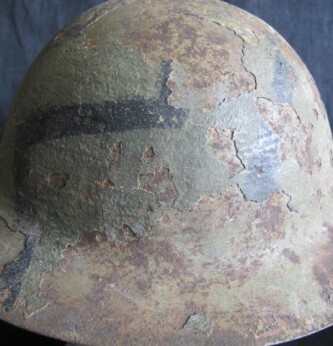 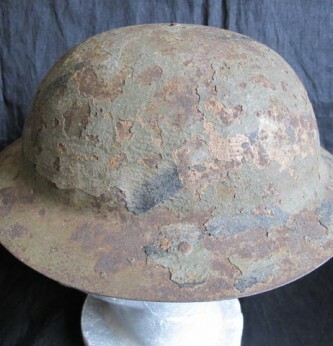 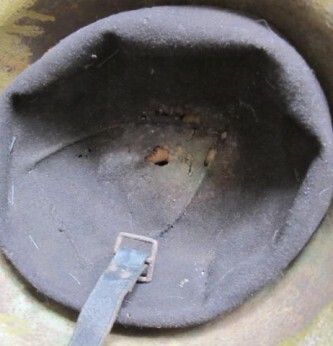 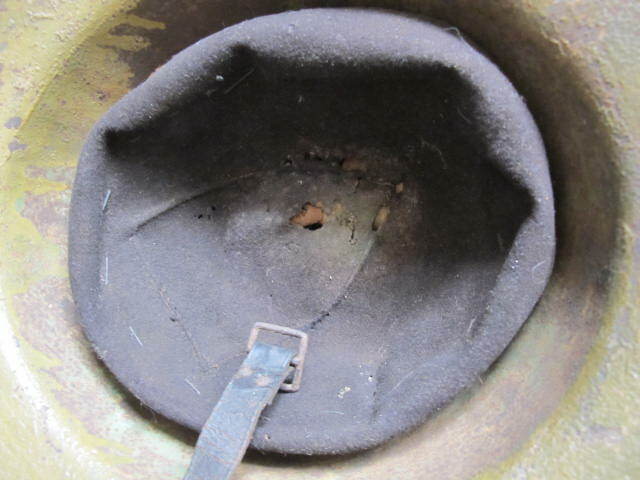 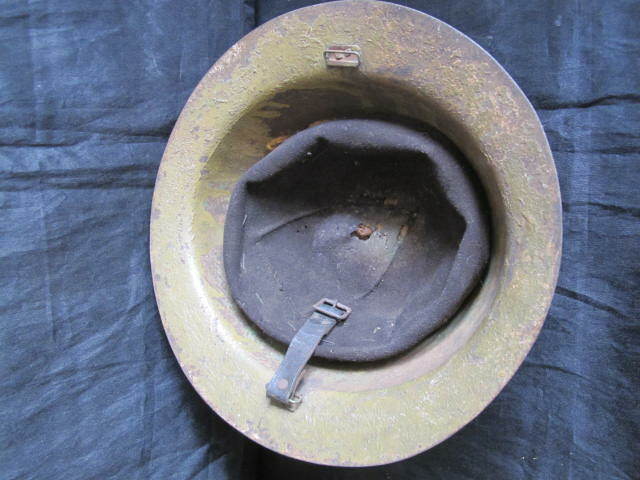 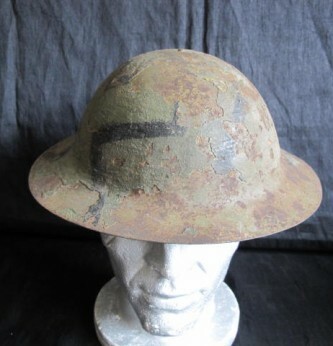 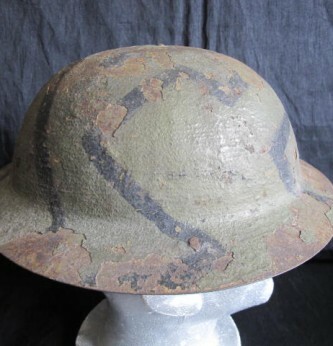 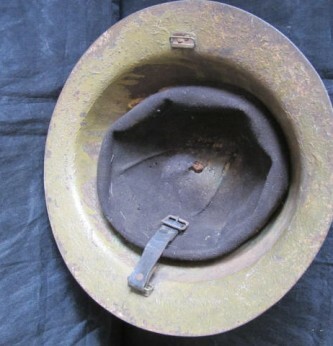 A scarce WWI British cammo combat helmet.